Three in one java utility application that uses your phone GPS to calculate your polar co-ordinates,altitude and current speed,with a user friendly and easy to use Graphical Display .Great for the outdoors enthusiast and traveler.This app turns your phone into something more than just another device. (NB.GPS signal works best while out in the open so don't hesitate to take it out for a spin). 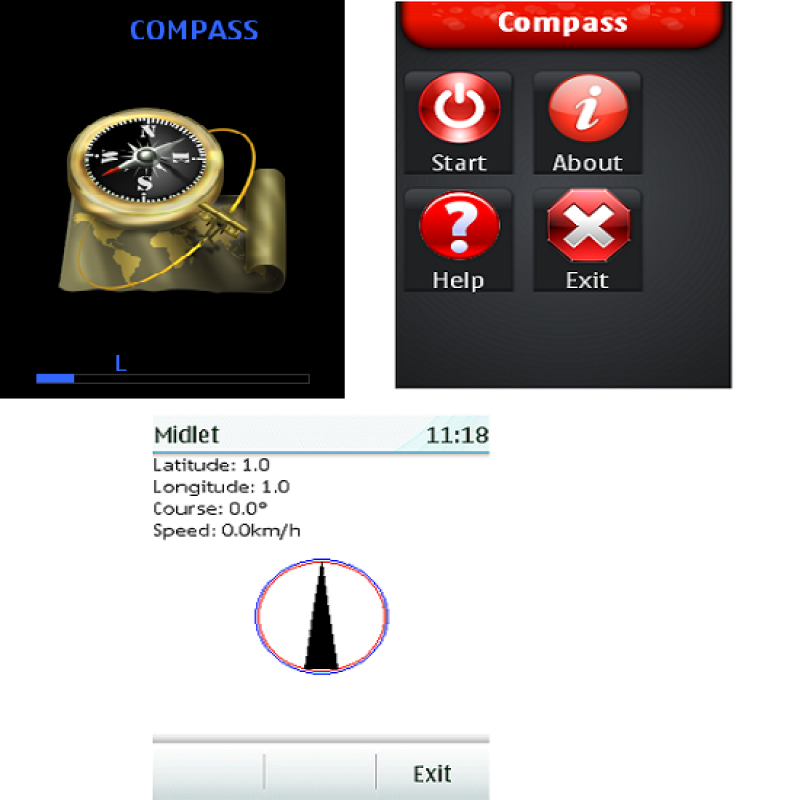 Three in one S60 utility application that uses your phone GPS to calculate your polar co-ordinates,altitude and current speed,with a user friendly and easy to use Graphical Display .Great for the outdoors enthusiast and traveler.This app turns your phone into something more than just another device. (NB.GPS signal works best while out in the open so don't hesitate to take it out for a spin).